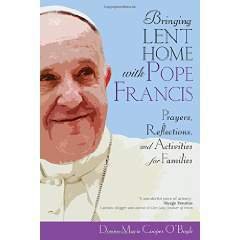 This book, which can be used every year during Lent, offers a mini prayer service for each day which includes a quote from Pope Francis, a reflection for parents to read on their own, a family prayer, a story from Pope Francis’s life, an idea for something to give up for that day and a way to practice almsgiving. Cooper O’Boyle has created a valuable resource. The ideas for fasting and almsgiving are especially creative and will add great spiritual meaning to these practices. While designed for family use, it is probably most suited for use with children ages eight and up. Each day offers a short prayer, the Gospel reading for that day, a short reflection, a time to listen to Jesus speaking to your heart and an invitation to ask God to show you how to live that day. Ideally, one should have at least ten quiet minutes a day to best utilize this book. These reflections are designed for private, rather than group, use. Fr. Prospero’s writing is beautiful and invites those reading into a deep relationship with Christ as he suffered and as He continues to meet us in the Eucharistic. 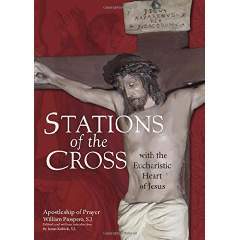 Each station features a short Scripture passage, a reflection, and prayer. 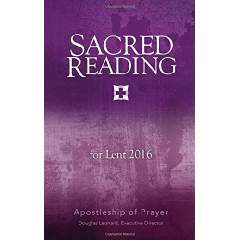 This book would be perfect for a time of Eucharistic adoration, however it can also be used for a meaningful prayer at home during Lent or at any time of the year. 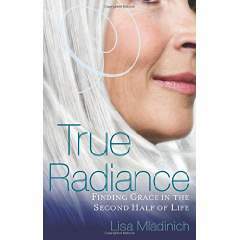 True Radiance: Finding Grace in the Second Half of Life is a book I haven't had the opportunity to read, but I've heard nothing but good things about it and wanted to give it a plug. The promise of True Radiance, Finding Grace in the Second Half of Life is simple: Prayerful, faith-filled women become more beautiful as they age, not less. As a woman matures spiritually, as she grows in wisdom and holiness, she increasingly reflects a radiant inner beauty that touches others in countless ways. If you've ever felt negative about the onset of middle age with its array of physical and psychological challenges, this book can help you redefine your perception of aging. Along the way, you'll gain a greater understanding of the possibilities for relevance, value and contribution waiting to be discovered. Positive, personal and practical advice from fellow traveler Lisa Mladinich will inspire and motivate you to thrive in the second half of life. How I wish that our own way of communicating, as well as our service as pastors of the Church, may never suggest a prideful and triumphant superiority over an enemy, or demean those whom the world considers lost and easily discarded. Mercy can help mitigate life’s troubles and offer warmth to those who have known only the coldness of judgment. May our way of communicating help to overcome the mindset that neatly separates sinners from the righteous. We can and we must judge situations of sin – such as violence, corruption and exploitation – but we may not judge individuals, since only God can see into the depths of their hearts. It is our task to admonish those who err and to denounce the evil and injustice of certain ways of acting, for the sake of setting victims free and raising up those who have fallen. The Gospel of John tells us that “the truth will make you free” (Jn 8:32). The truth is ultimately Christ himself, whose gentle mercy is the yardstick for measuring the way we proclaim the truth and condemn injustice. Our primary task is to uphold the truth with love (cf. Eph4:15). Only words spoken with love and accompanied by meekness and mercy can touch our sinful hearts. Harsh and moralistic words and actions risk further alienating those whom we wish to lead to conversion and freedom, reinforcing their sense of rejection and defensiveness. Susan Hines-Brigger wrote an article, "Lord, Help Me, I Have Teenagers" for the January 2016 issue of St. Anthony's Messenger. That simple prayer is one I think all parents of teenagers can relate to. I know I can. While I have always prayed a great deal for my children, having two teenage boys has brought it to a whole new level. And I don't even want to think about the young girl as a teenager. One day at a time - that's all I can handle. There are days when I truly question God's decision to allow teenagers to have free will. I want so much for them to make good choices and to be the people God wants them to be, and yet, I know from personal experience that being a teenager often means making some poor choices and needing the Sacrament of Confession perhaps more than at any other time in our lives. The decisions made as a teenager can have such lasting consequences, for good or ill. The stakes are so high. Being a teenager isn't fun - while it has its moments, it's a challenging time of change and figuring out who you are and what you believe in. I think it might even be more painful being the parent of teenager when one has to figure out how much to hold on and how much to let go, and how to love your child even when he is being completely unlovable. God is the only one who can help me. He's going to be hearing a lot from me over the next fifteen years. Lord, help us to really see deep into the hearts of teens, in the same way you search and probe our own hearts. Give us the grace to want to see you and your Spirit as you dwell within each of the teens in my life. Amen. 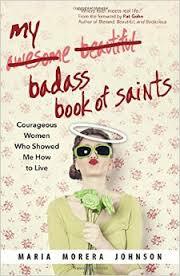 When I got a review copy of "My Badass Book of Saints" in the mail, I tossed it aside after looking at the cover. I mean, really, how horrible a title! How could I possibly endorse this book? And there the book sat, waiting in the review pile until I read an interview with the author on CatholicMom.com. In that interview Maria Morera Johnson, who is Cuban American, explained that the title was an English translation of the Spanish word tremenda, a word with many meanings that doesn't translate easily. In the introduction to the book, she explains further. "It translates as bold. Daring. Fearless. Smart. Courageous. In a lot of cases, it can be used as a modifier to express both judge-y disdain and profound admiration." In short, it describes my own spirited strong-willed little Latina girl perfectly. Apparently, we needed a Spanish word to describe her! And so, she is now, and most likely always be tremenda. While I am the person least likely to be referred to as a badass ever, I read this book in my daughter's honor, because she needs holy role models. As Johnson shares, "I longed to find role models who matched my own approach to life - saints with boisterous laughs and quick tongues that sometimes got them in trouble, women unafraid to be themselves and say what was on their mind, even if they ruffled a few feathers." She found twenty-four women who fit the description. In each chapter, she pairs a modern-day holy but not canonized woman with a recognized saint. They are grouped by their defining characteristic. For example, Sr. Blandina Segale and St. Teresa of Avila are "Audacious Sisters Who Acted Fearlessly" while Phyllis Bowman and St. Gianna Beretta Molla are "Valiant Women Who Lived and Died to Uphold Human Dignity." Johnson, an educator of at-risk college students, mother of adult children, and caretaker for a husband with Lou Gehrig's disease has learned lessons from each of these women. She shares her own stories and how these women have helped shape her life. She invites each of us to learn from them as well. Despite the title, this book is well-worth reading. I learned a great deal in its pages about inspiring women I had not previously heard of. Johnson's personal story also tugged at my heart, bringing me to tears in several pages. If you have young children who are able to read and you don't want them to see the title of this book, I would suggest an old paper bag book cover or perhaps reading the e-version. There is no denying that college is expensive, sometimes prohibitively so. It also isn't a good fit for everyone. 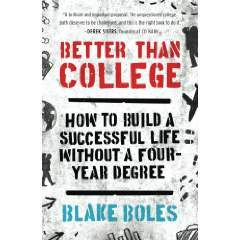 In "Better than College: How to Build a Successful Life Without a Four-Year Degree," Blake Boles offers a blueprint for obtaining an alternative higher education. He argues that college and higher education are not the same thing. While some careers definitely require that college diploma, there are many others that don't and it is possible to obtain the knowledge you need via other means. Boles encourages building self-knowledge, giving yourself assignments, creating and sharing value, finding support, and marketing yourself. He then offers concrete examples of how to do this and the stories of those who have taken the road less traveled and been successful. While acknowledging that skipping college is a risk, he maintains that in today's world, going to college is a high-cost risk as well. There is no guarantee of a job at the end of the journey. The only guarantee may be that of a mountain load of debt. In any event, if a self-directed education doesn't work out, attending a traditional college is always an option, even later in life. "Better than College" should be on the required reading list of every high school student. It's always good to have options when planning for the future. I have a five year old daughter, so I am pretty up on my princesses. We spend a lot of time acting out fairy tales with dolls, and the Disney animated films have been watched in our house more times than I care to admit. 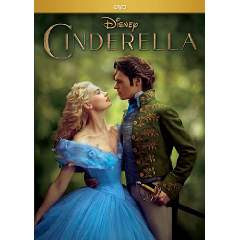 Still, I was excited to see the new live-action version of Cinderella. I had heard only good things. I actually had to talk my little girl into watching it with me - after all it wasn't the cartoon she was used to. Both she and I enjoyed it immensely. What a wonderful tale! It was true to the Disney version told in the animated classic, but with some added extras that fill in some of the plot holes and with a deeper understanding of the motivation of the characters. It was cinematically beautiful with intense, lush colors and amazing scenery. The special effects were incredible as well. There was also some comedic relief thrown in for. That good measure. Perhaps most important was the message of the movie, which was repeated often, so there was no way one could miss it. It is important to have courage and be kind. That was what made Cinderella special and worthy of being a true princess. That's a good message for little girls (and big girls) to hear. And for those of you, who like me, are Downton Abbey fans, it was so fun to see the actress who plays Rose as Cinderella and the actress who plays Daisy as one of her step-sisters. They both did an amazing job. Linsenbach touches on many important homeschooling topics, including learning styles and teaching methods, a general overview of legal requirements and approaches to homeschooling, socialization opportunities, tips for choosing a curriculum, developing a schedule, keeping records, organizing your homeschool, and preparing for college or life after homeschooling. She also includes ideas for fun learning activities involving math, language arts, science and history. Even as a veteran homeschooler, I found much useful information in these pages and took notes on topics and website links to pursue further. 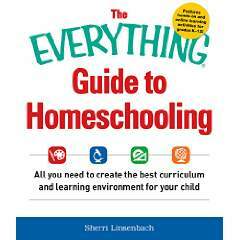 While no book can cover every aspect of homeschooling, “The Everything Guide to Homeschooling” provides a great overview. It is recommended for anyone interested in knowing more about homeschooling. And back to reality we go today: back to school and work (or getting people ready for school and work), back to our routine after weeks of worldwind activity and joy and stress and tension and wonder. Our regular routine is back, and sometimes it seems to come with a thud. It is easy to lose sight of the fact that God is with us in the small things that will happen today . . . His desire that we grow ever closer to him in love and obedience has no season, no calendar. Honestly, I'm dreading tomorrow and the days that will follow. The return to homeschool lessons after a break is never easy and the midst of a grey winter is hard on both my and my children's mental health. This was a good reminder for me as I try to get through each day one day at a time. Here in the U.S., the final season of Downton Abbey kicks off Sunday, January 3rd. This is one of the very few shows I watch on television. I admit it is a guilty pleasure - I enjoy the history, the music, and the beautiful surroundings. Plus, for the past several years, it has given me something to look forward to in the midst of a dark New England winter. 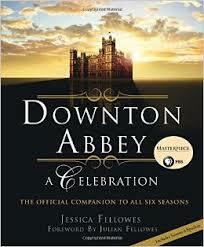 Therefore, I eagerly picked up Downton Abbey - A Celebration: The Official Companion to All Six Seasons . This book is a fan's delight, featuring loads of photos, a review of what has happened in the series, a description of the various sets and settings, interviews with the actors and actresses, as well as analysis of the characters. The only downside is that it does include spoilers from the 6th season. I avoided reading the episode synopses at the end of the book, but there is some basic info sprinkled in throughout the book. I don't think it will detract from my enjoyment of the season, but if you want the whole season to be a surprise, you might want to hold off on reading this one until the season is done.